Registration is now open for the 2018 Season! Returning Players Only. We were the first Little League established in CNY. Come here for the latest news on the league, games, and events. You can also receive League updates via email. Just send an email to president@liverpoollittleleague.com requesting to be added to our mailing list. Look under Info & Forms for specific information, including Division Descriptions, and League boundaries. We play at Duerr Park Fields off Rt. 370 near the LongBranch Rd. intersection. 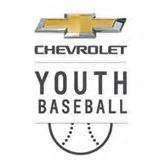 Liverpool Little League would like to thank Burdick Chevrolet, an Elite Sponsor, for their generous support of our kids. In Person Tuesday March 13th 6pm-8pm at the Liverpool Fire Department 1110 Oswego Rd Liverpool NY 13088. Online available to previous year participants.